The winter season of 2017-2018 has been the second warmest on record in Turkey since 1971, according to an official from the country's meteorological service. The average temperature during the winter season in 2017-2018 was recorded at 6.4 degrees Celsius, 2.8 degrees above the average temperature in 1981-2010, said Ismail Güneş, the director general of Turkey's State Meteorological Service. The warmest winter season was recorded in 2010-2011 with an average of 6.8 degrees Celsius, Güneş noted. 2017 is the third hottest year ever recorded on the planet, considering the measurements made since 1880, according to World Meteorological Organization (WMO). The average temperature in Turkey was 14.2 degrees Celsius in 2017, which is 0.7 degrees above the average temperature during the period between 1981 and 2010. Güneş noted that the changing climate has led to the decrease in the average annual snowfall. "But, it is too early to say that the tropical climate will prevail in the country in the future." According to climate projections by the meteorological service, the average annual temperature will increase 1-2 degrees Celsius by 2050. 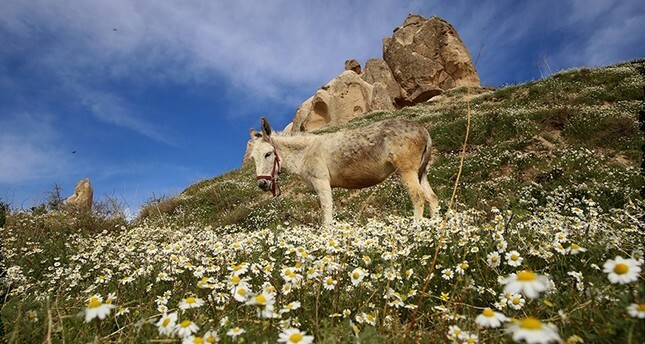 Noting that the rising temperature is negatively affecting the quality and quantity of agricultural production, Güneş said the trend may lead to a rise in the number and severity of the heat waves, storms, and whirlwinds. He said there is a risk of excessive rainfalls especially in the country's western and northern coastal areas and that the changes in precipitation levels can cause floods in coming years. "These happenings, which are influenced by climate change, are mostly human-caused disasters which depend on various factors, including unplanned settlements, wrong selection of settlements, disturbance in natural equilibrium due to the destruction of forest areas, and so on." Güneş noted that there has been a significant upward trend of meteorological disasters -- including storms, floods, hails, avalanche, drought and forest fires -- since 2000 due to climate change. The weather forecast department uses early warning system to minimize the adverse consequences of meteorological events and warn authorized institutions to take necessary measures in advance. According to the department, 400 warnings related to storms, snowmelt, avalanche, landslide, agricultural frost, hot/cold airwaves and floods were issued in 2017.